“Bring your own device” (BYOD) is a challenging issue because it encompasses so many questions related to an organization’s costs, security risks, IT availability, and the varying needs of different groups of staff. 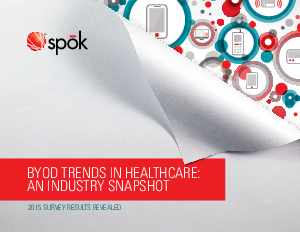 In June 2015, Spok surveyed more than 450 healthcare organizations to assess their current state of BYOD. There is no one-size-fits-all solution, and results revealed a lot of variation across the industry.